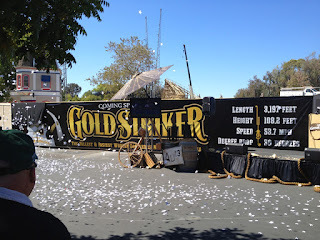 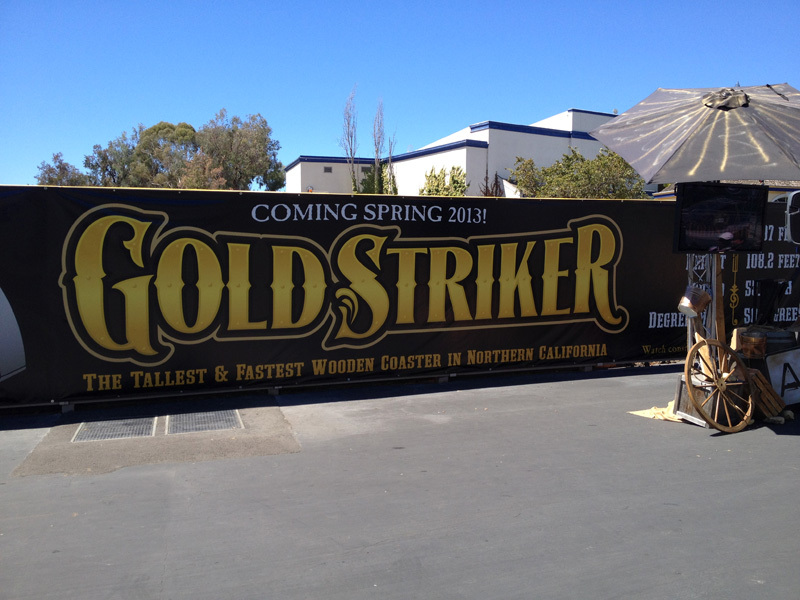 Thrills by the Bay: Gold Striker Announced! 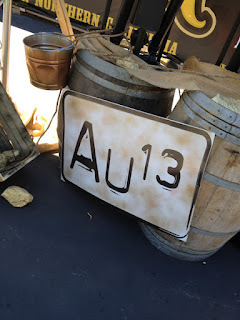 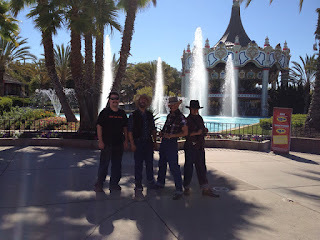 Sorry, I'm a bit behind on things as I was invited to the Au13 Gold Striker media event. We then headed off to Santa Cruz later in the day to 'celebrate' and bid farewell to Hurricane. 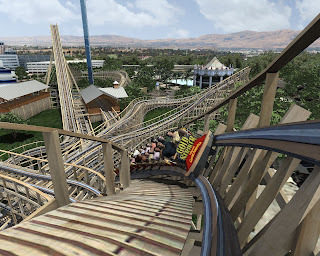 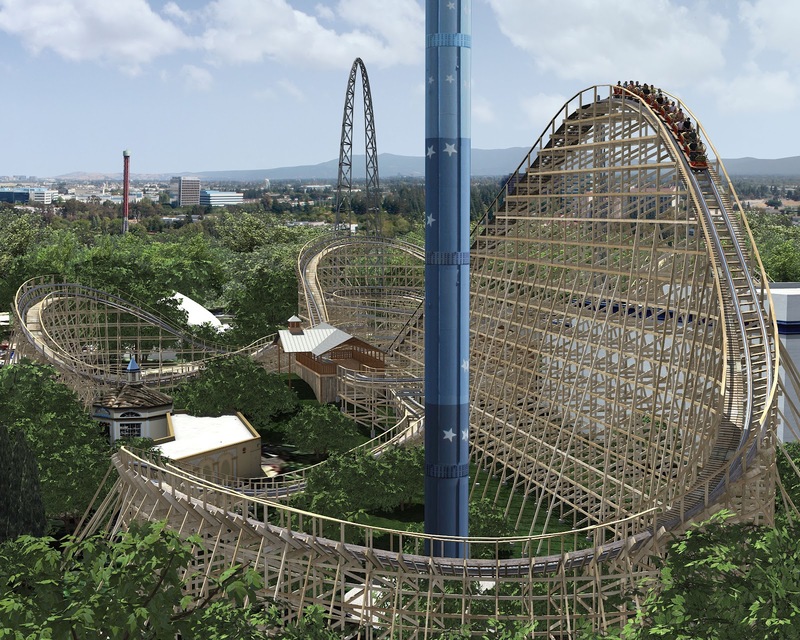 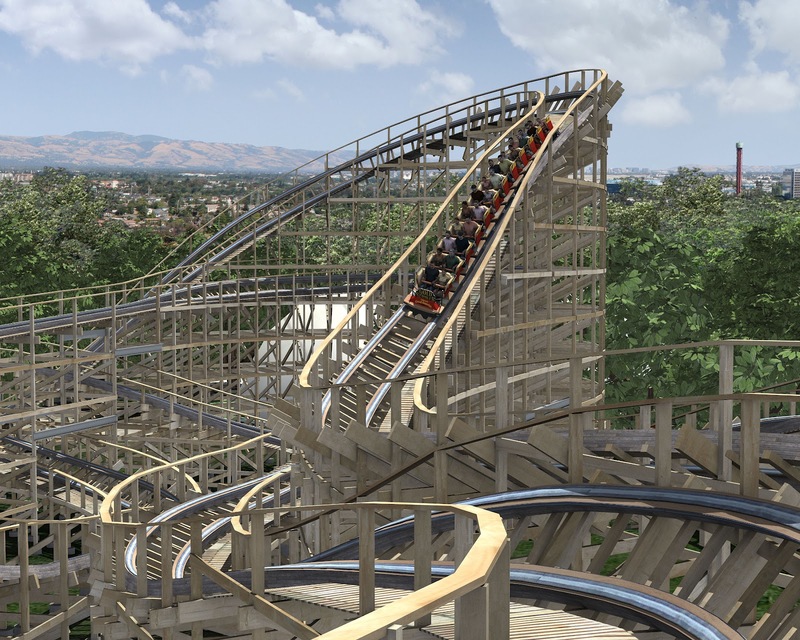 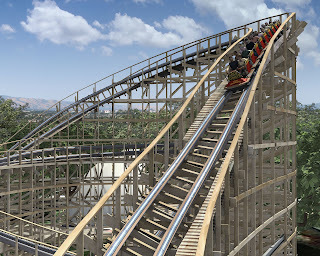 Anywho, it is now official, Great America will be adding a 108-foot high, 3197-foot long, 54mph wooden coaster known as Gold Striker. 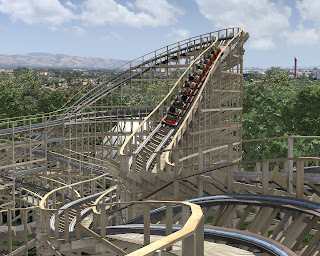 GS was designed and built by Great Coasters International (GCI) and are well known for their highly ranked Prowler coaster at Worlds of Fun. 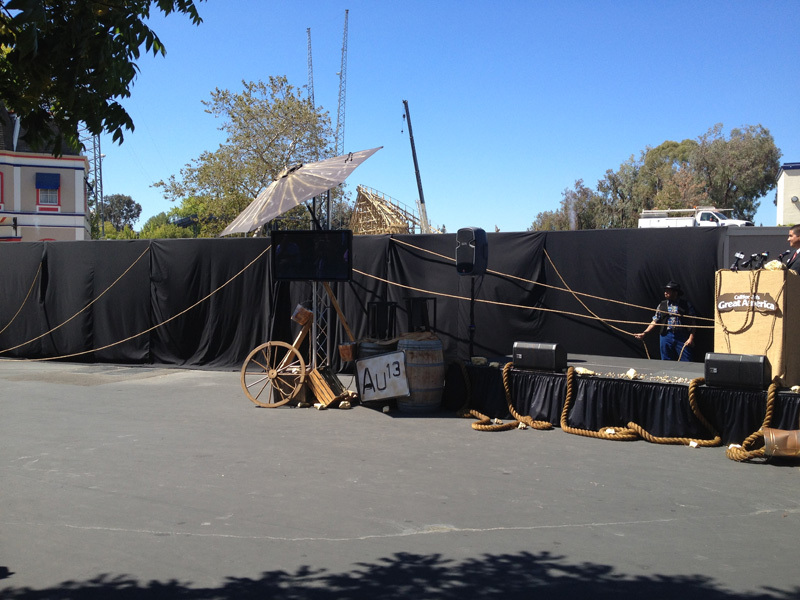 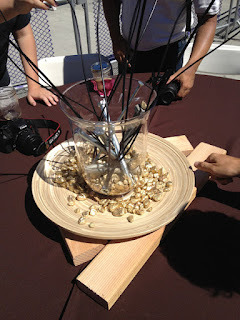 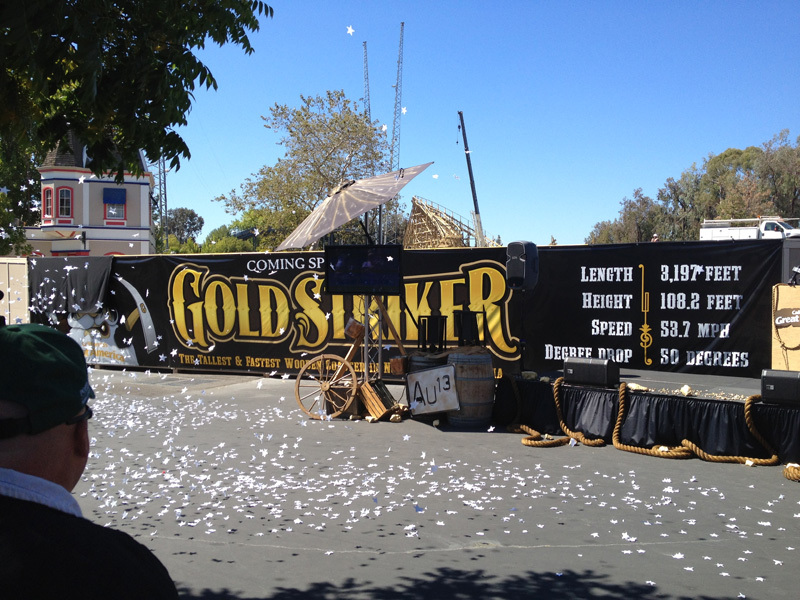 Here are a few photos from the media event, as well as a video of the ceremony (and on-ride virtual POV). 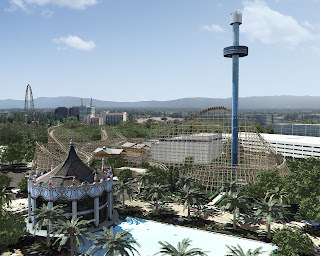 Video of the media event (approx 15 minutes), POV included. 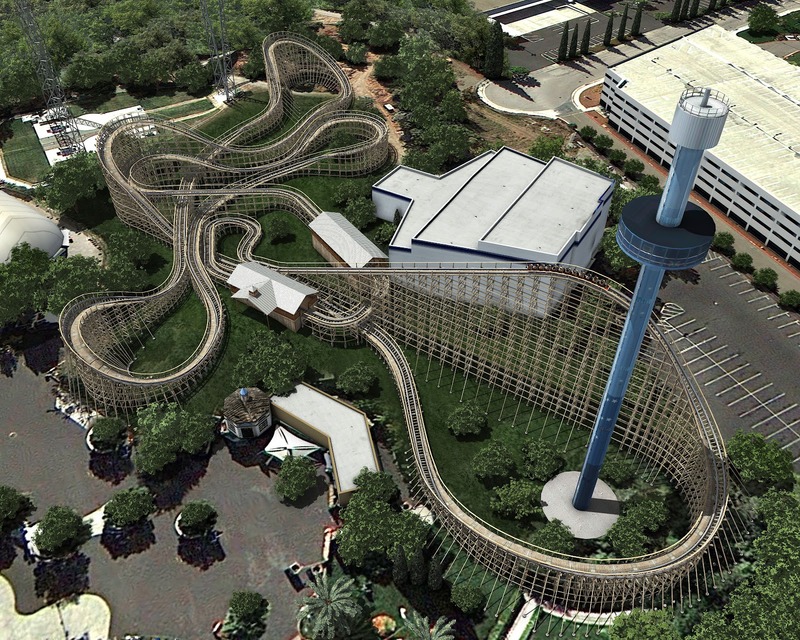 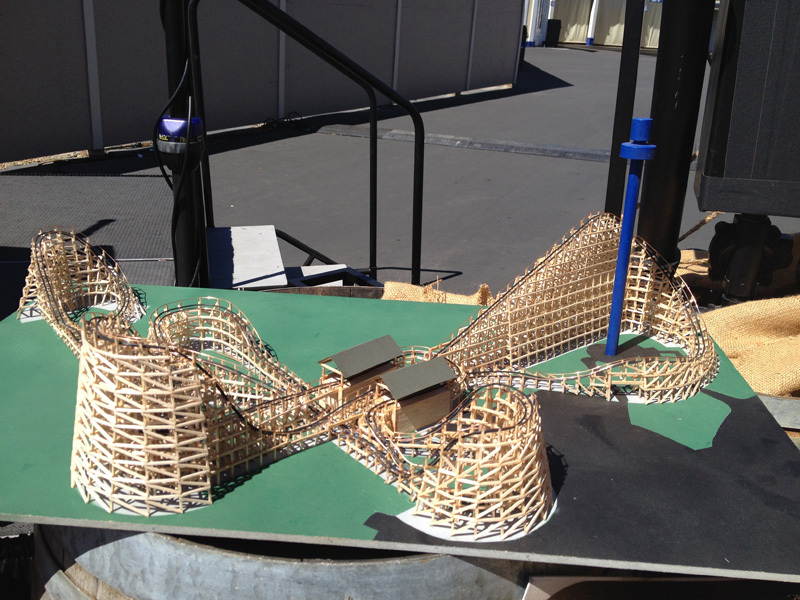 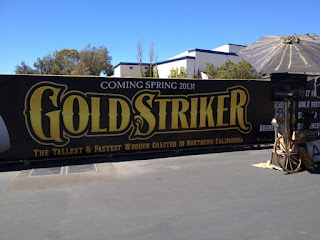 Here are a few artist renderings of Gold Striker, courtesy of California's Great America. 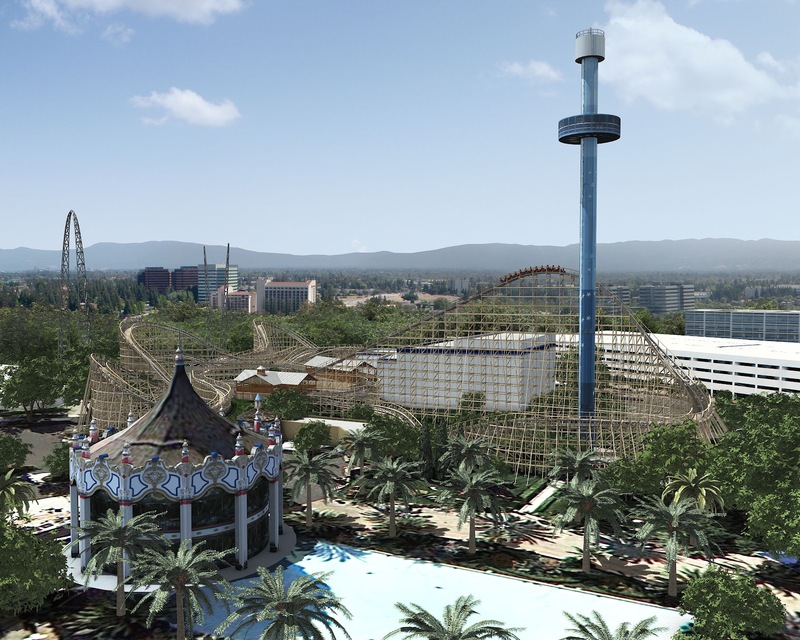 Before we wrap things up, we were treated to a ride on the park's Star Tower ride for a nice birds-eye view of the construction, which is really taking shape! Here's a few photos taken on Media Day, more to come this weekend! 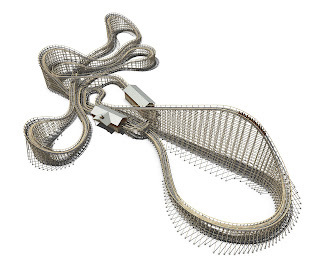 Stay tuned for a Labor Day Weekend Update!